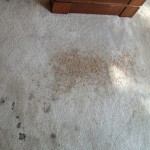 Carpet stain removal Melbourne…Tales of the unexpected! I have been to many carpet stain removal Melbourne jobs, and last Saturday, I had a carpet steam cleaning job in Toorak, for lovely lady named Lucy. She booked me in to steam clean her carpet after having found me on the internet – so happy my marketing is starting to work! 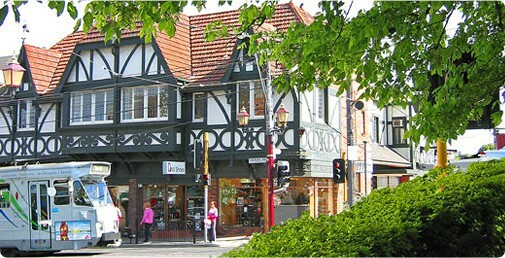 I love working in Toorak, the properties are so grand and there is definitely an air of wealth and privilege there. In fact, Toorak has long been regarded as one of Australia’s most prestigious suburbs and definitely has the highest property values in Melbourne. Some of our most notable Melbourne figures are from Toorak, such as, Malcolm Fraser, Ted Ballieu, Sidney Myer, Eddie McGuire, why even Harry Potter (Daniel Radcliffe) himself owns property in Toorak!! Back to lovely Lucy! After my pre inspection and consultation with Lucy, I began unpacking the van and setting up my equipment when I heard a scream from the next room, it was a blood curdling cry that stopped me in my tracks. I dropped my wand and ran to see what had happened. Upon entering the lounge room, I could see immediately the drama that had just unfolded and it was horrifying! There splattered all over the beautiful cream carpet was a dark, oozing mess which reeked of….coffee. Lucy was frozen to the spot, she had misjudged the coffee table and dropped her entire mug of coffee all over the carpet. Luckily for Lucy I was able to jump into action immediately to stop any further damage. I showed her how to dab the stain and blot it up with a clean cloth. Once I had removed as much of the liquid as possible, I sprayed the area with a spotter specifically designed for coffee stains and followed up with hot water extraction (steam cleaning). The end result was magical! Once again my trusty wand and I saved the day – who needs Harry Potter! Whenever you are dealing with spills and stains like tea and coffee, it is really important to act swiftly. 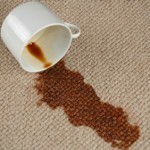 The longer you leave coffee on the carpet, the harder it is in terms of carpet stain removal Melbourne. Always blot the stain first to remove as much of the brown liquid as possible. You can the flush the stain with a damp cloth and again blot the area dry with a clean dry cloth. 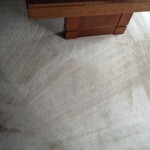 There are different methods for treating the stain, depending on the type of carpet you have. If you are in doubt or have expensive antique carpets or rugs, always call a professional carpet stain removal Melbourne business, such as Black Gold Carpet Cleaning. For carpet stain removal in Melbourne, we do not recommend using any over the counter stain removers as many contain bleach and other chemicals which can damage your carpet or even set the stain making it permanent. If you prefer to attempt the stain removal process yourself, you can try adding a little white vinegar or mild dish washing detergent to some lukewarm water and wetting a clean white cloth with the solution. Always colour test this type of solution on a small inconspicuous patch of carpet. Lay the wet cloth over the stain and gently press the solution into the carpet, working from the outside in. Next spray a little clean water over the stain to rinse and blot dry with paper towels or a cloth. To dry the carpet you can place a clean dry cloth over the area, followed by a plastic bag and then something heavy like a thick book on top. Leave it like this at least over night before removing.